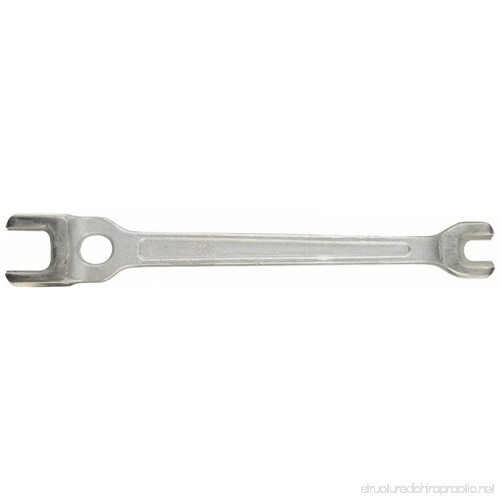 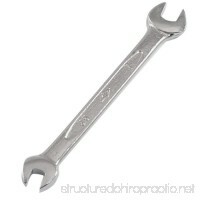 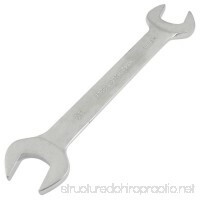 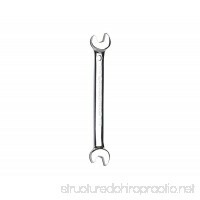 Forged and heat treated, this Linemans Wrench is used on pole line hardware. It is open-end double end type with two sizes of openings at each end and an oval hole for turning pole steps. The end openings accommodate nuts for 3/8", 1/2", 5/8" and 3/4" bolts and the head of the 1/2" drive screw. 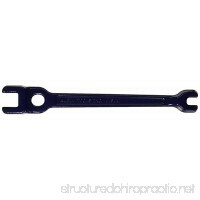 The faces of the Linemans Wrench openings are offset to provide handle clearance. 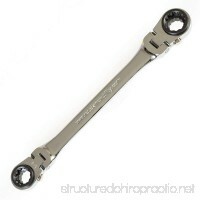 13" Wrench length.